We loved celebrating St Joseph's day! We did lots of exciting activities like decorating biscuits, making cards, decorating crosses and planting daffodils! Mrs Muschamp showed us how to dig a hole, push the bulb inside and pat the soil down around it. We are brilliant gardeners! This morning we had a wonderful time celebrating World Book Day with a Big Booky Breakfast! Our families joined us to share stories and eat a delicious breakfast of pastries, biscuits and fruit! We loved reading our favourite books with our grown ups! Thank you all who came and helped make our breakfast a success! Shrove Tuesday has come early to St Andrew's Class! We have loved making and serving pancakes in our 'Pancake Shop', paying for them using the coins we have learnt about! Welcome back to all of our pupils and their families. We hope you all enjoyed a relaxing Christmas break. Please click HERE to see the topic coverage for our EYFS pupils. 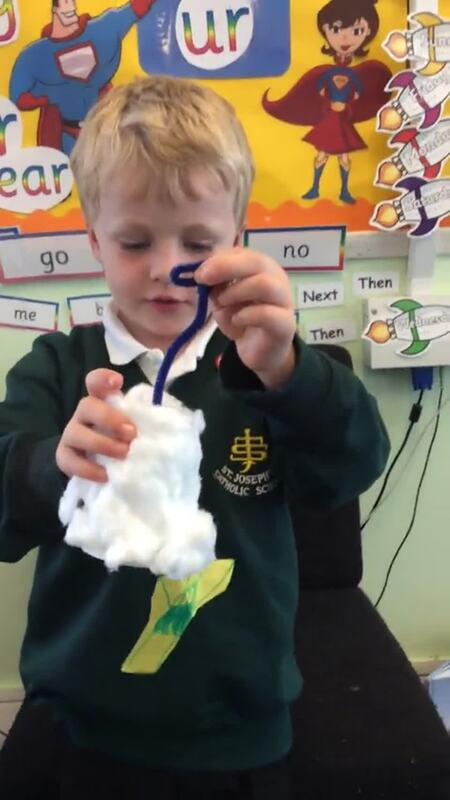 Please click HERE to see the topic coverage for the MOONS, our Year 1 children. St Andrew's have had an amazing day learning to dance in the style of Bollywood! The super cool Mr Bollywood came to our school today and gave us a demo and lesson on some marvellous moves. We then performed with the WHOLE school to our parents! It was one the best things we've done! Can't wait to do it again! In our English lessons, We have been reading the story 'Ferdie and the Falling Leaves' to help us learn about the changes in our environment in autumn. In the story Ferdie is worried because is favourite tree is losing its leaves and he thinks it's ill! We learnt that in autumn, leaves turn brown and then fall off of the trees because there is less sunlight than there is in spring and summer. 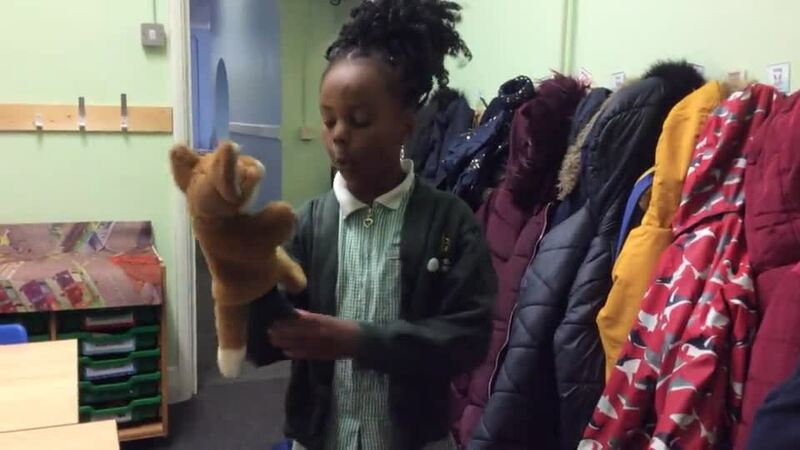 The stars made videos for Ferdie to explain what is happening to his tree! Click below to download topic booklets for Moons (Year 1) and Stars (Reception). Welcome back St Andrew Class! We hope you all had a lovely, restful summer! Thank you, parents of St Andrews, for helping your child settle in over the past couple of weeks. As we do each year, we are encouraging the children's independence by self-registering and putting their book bags, coats and water bottles/lunchboxes in when they come in each morning. If Reception children are feeling brave please encourage them to go straight onto the playground as they come in each morning - some of them are doing so already, well done everyone! more you can read, the better for children's progress across all areas! We are currently giving Reception children one book each week to share with you at home. We change books each Monday and will check comments in the yellow reading diary too. Please leave a short comment each time you read. If you could note down any other books you read that would be fantastic too! We will be beginning to encourage Year 1 children to change their reading books as regularly as they can, to help their reading progress as much as possible! Our PE days are Tuesdays and Thursdays. On Tuesdays we will be doing dance indoors. On Thursdays we will be doing ball skills. Please ensure your child has a full PE kit in school each week: Shorts, T-shirt and plimsolls or trainers. As the weather gets colder children may need a pair of jogging bottoms too but for the moment we have been lucky with the weather! We have been trying lots of new yummy foods!.. Look how much fun we've been having! This term, PE will be on Tuesdays and Thursdays. Full PE kit should be worn. The children should keep their PE kit in school for the whole half-term. and through all this we have fun! 20.06.18 Today most of us enjoyed the delicous fresh fish. We tried mackerel and plaice. We used a little lemon. Delicious, scrumptious.....yum, yum. We learnt about Islam today. Aishatou taught us how Muslims pray. Aishatou is a Muslim and she can say prayers in Arabic. 19.06.18 This is Neil Messenger. He is a real fisherman. He goes out on his boat everyday to leave out his nets and lobster pots. When he collects them they are full of fish. He brought some in to show us. We saw spider crabs, brown crabs, sea bass, mackerel, plaice and lobsters. Neil showed us how to fillet fish and tomorrow we are going to taste it! Yum yum we can't wait! 12.06.18 This week we have been on our school visit to the Sealife Centre and the i360. It was amazing. We learnt lots about seahorses, turtles, sharks and clown fish. Come along and see the posters we have made. 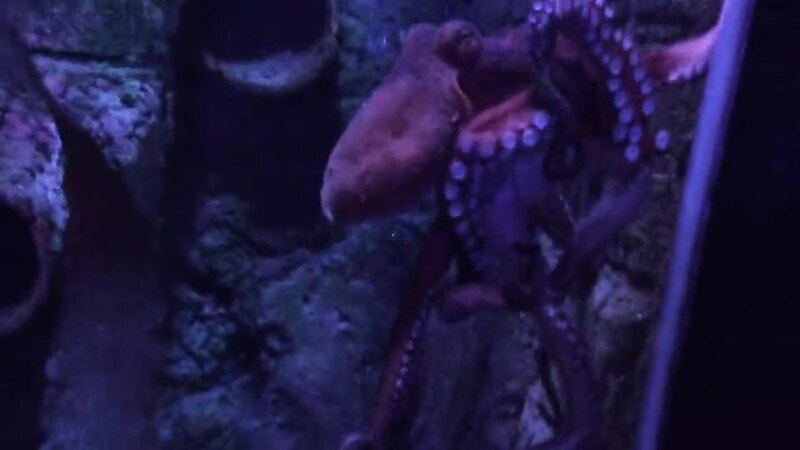 Look at Mrs.Mullholland's video of an octopus! Her camera skills are amazing! 6-6-18 Today the student doctors visited our class.We brought in our teddies. They taught us a lot about hospitals and how doctors are there to help us. Now we know we should not be worried about going to hospital because everyone there is very kind! We are learning to tell the story using a story map. First we designed seagull proof lunch boxes. We had lots of ideas about how to save Mr.Grinling's delicious lunch. Next we made the seagull proof lunch boxes. After looking at a video of seagulls attacking we realised we needed to make our lunchboxes very strong so we improved them. Finally we tested our lunchboxes with real seagulls! 30-04-18 This week we have been learning about Jesus' Ascension into heaven and how it made his disciples feel. Look at our amazing Ascension models. Julian and Finn want to tell you how they work. The children used playdough to make facial expressions to show how the disciples felt when Jesus left them. 23-04-18 A dog expert visited us today with their dog. His name was Charlie. He was very gentle. We have been learning about asking questions and using question marks in our writing. We found out lots of information about how to look after dogs properly. Now we can help Harris look after George. 16-04-18 This week we have been making fish. 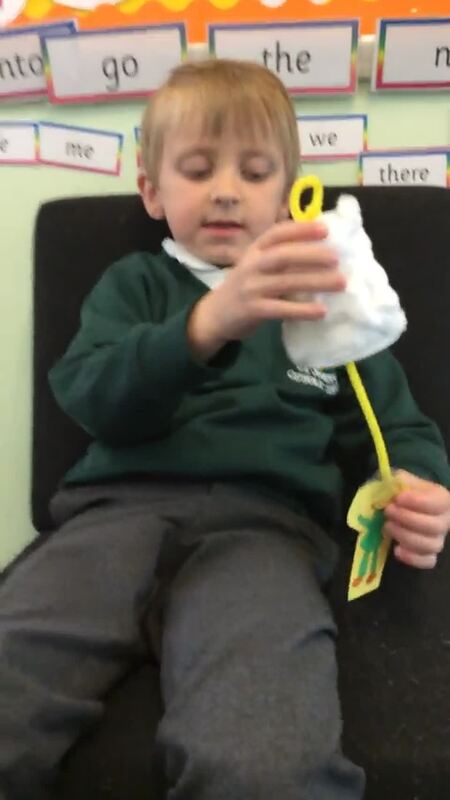 We have been experimenting with painting on foil and bubble wrap to see which gave a more fish like effect. What do you think? George tries to be good but is often naughty. This week we are having a dog expert to visit with her dog to try and help us understand how to look after dogs properly. We will be thinking of questions to ask the dog expert and practising using question marks when we write our questions. Read the letter Harris, George's owner, sent us here. This term has been very busy preparing for Easter. The children have been making Easter Nests. They were yummy. We know how to make them now so you can make them at home. We sequenced the pictures and then used conjunctions to practise instructions. We did some fantastic writing. 12.03.18 This week we planted some cress seeds. They looked brown and dry and dead. When we watered them and left them in the sun they burst into life, just like when Jesus rose from the dead at Easter! We ate them with crackers and cheese! Priya received a head teacher's medal today for her amazing talking about her dinosaur habitat. She explained which dinosaurs were there, what they ate and what they drank. This week we lured a dinosaur into our classroom with some raw meat (Priya's idea)! He ate some pork chops, left footprints and did an enormous poo! We invited him to visit and we hope he can come. We have been learning about how churches are very special places for Christians. We made our own in the classroom. There are many special people who help in the church : welcomers, readers, cleaners, choirs, altar servers and of course the priest. We are having great fun this week with the brilliant "Supertato" Story by Sue Hendra and Paul Linnet. We feel safe with all the super vegetables we have made. 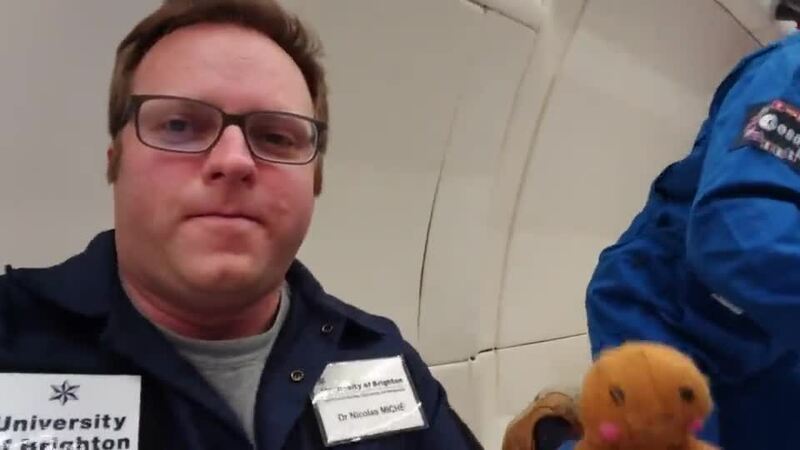 27.11.17 St.Andrew's gingerbread man has been on an amazing adventure in zero gravity. This week we are really enjoying making treasure maps. We have been programming our Beebots to find the treasure. Our maps are fantastic! We are taking them home. This week we have been baking gingerbread men. Here is our recipe in case you want to make some at home. They were delicious! Yum yum! Using the rolling pin, roll out the pastry to about 5mm thick. Make sure the surface and the rolling pin are well dusted with flour. Use gingerbread men cutters to cut out shapes. Our Grandparents visited today! Thank you to all those that could come.We really enjoyed painting your portraits. Hurray! On Tuesday had our fantastic BIG BREAKFAST to start our new topic Yum Yum. The children have been learning about what an important meal breakfast is for everyone. We enjoyed preparing eggs, bacon and toast. Washed down with orange juice or milk. What a fantastic year 2016-2017 has been in the Early Years. We look forward to watching you grow, develop and flourish next year. Enjoy the summer break.